The dispute over workers’ quest for an upward review of minimum wage in the country became protracted yesterday as the nation’s 36 governors emerged from their meeting in Abuja and said they had agreed to N22,500 as the lowest pay cheque for workers. But labour responded swiftly last night that the governors’ offer, N7,500 short of its demand for N30,000, was an exercise in futility, warning that the strike scheduled for Tuesday next week would proceed as planned. “The N30,000 figure is not adjustable,” Mr. Denja Yakubu, Assistant Secretary (Information), at the Nigerian Labour Congress (NLC) Headquarters, Abuja told THISDAY last night, that none of the tripartite stakeholders, including government, organised labour and organised private sector, could vary the figure he said had been agreed upon. “We agreed to the N30,000 figure as the minimum wage at our last meeting. Sixteen of the governors were at the meeting, where the agreement was reached. Whatever they are saying now is a joke and self-deceit,” he said. Labour had embarked on rallies in several states of the federation yesterday to demonstrate its resolve to down tools on Tuesday unless the government met its demand for N30,000. But the governors at the end of their three-hour meeting under the auspices of the Nigeria Governors Forum (NGF) in Abuja last night said they would only be able to pay N22,500. The NGF Chairman and Zamfara State Governor, Alhaji Abdulaziz Yari, who announced the decision of the governors said it was based on ability and capacity to pay, as well as in reflection to all other developmental needs in each state. He also said that the governors’ decision was based on the principle that any acceptable minimum wage must be done in such a way that total personnel cost does not exceed 50 per cent of the revenue available to each state. Yari said the governors were further guided by Section 3 of the National Salaries Income and Wages Commission Act, which requires that any wage increase must take cognizance of the state of the national economy. 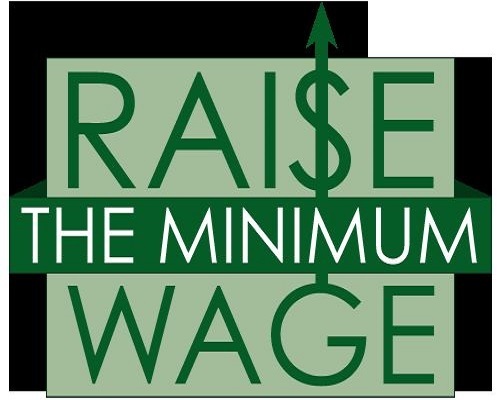 “It is in this sense that we feel strongly that our acceptable minimum wage must be done in such a way that total personnel cost does not exceed 50 per cent of the revenue available to each state. Governors, therefore, agreed to pay a national minimum wage of N22,500,” he said. In the communiqué, the governors said they considered that welfare of all Nigerians is of ultimate concern to government and that resources of the state should not just be used for salaries, since the percentage of salaried workers is not more than five per cent of the total working population. The Minister of Labour and Employment, Senator Chris Ngige, and the Minister of Budget and National Planning, Senator Udo Udoma, attended the meeting. Some of the governors at yesterday’s emergency meeting were Kebbi, Ebonyi, Imo, Lagos, Plateau, Osun, Ekiti and Ogun. Nasarawa governor was represented by his deputy. No representative of the organised labour was at the meeting as was earlier indicated.